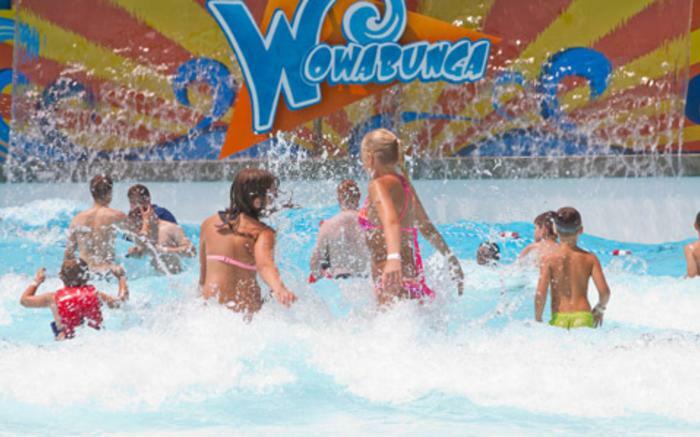 Idlewild & SoakZone offer visitors to the Laurel Highlands some remarkable and unforgettable gifts to take home with them - smiles on their faces, laughter in their hearts, and memories that will last a lifetime. 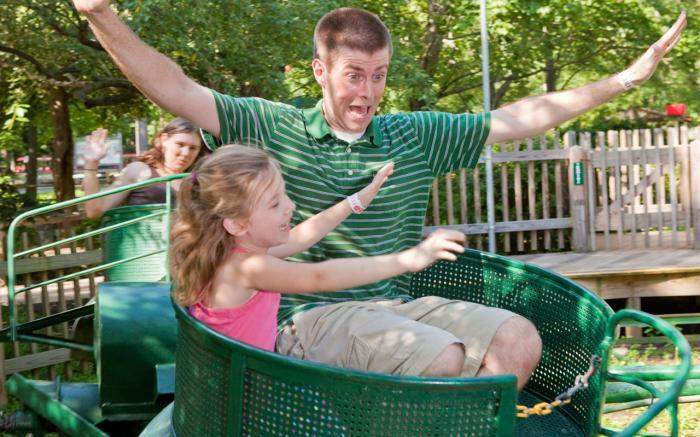 It's no wonder that this family fun spot has been named "Best Kids' Park in the World" by Amusement Today, and "Best Park for Families" by the National Amusement Park Historical Association. 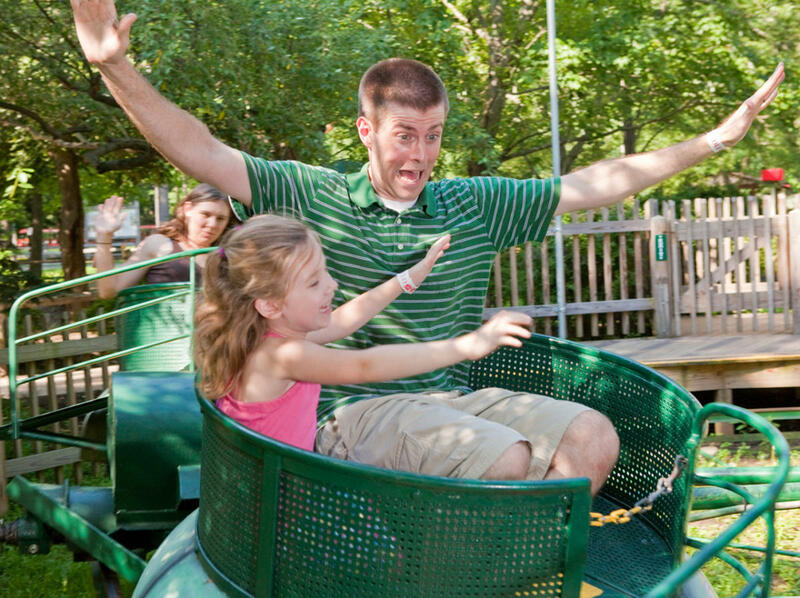 Since 1878, Idlewild has been providing smiles, laughter, and memories longer than almost every other amusement park in the entire United States. Nestled within the Laurel Highlands, just outside of Ligonier, the park is rich in tradition, nostalgia, and natural beauty, and has long been recognized as one of the top destinations for family fun in the country. 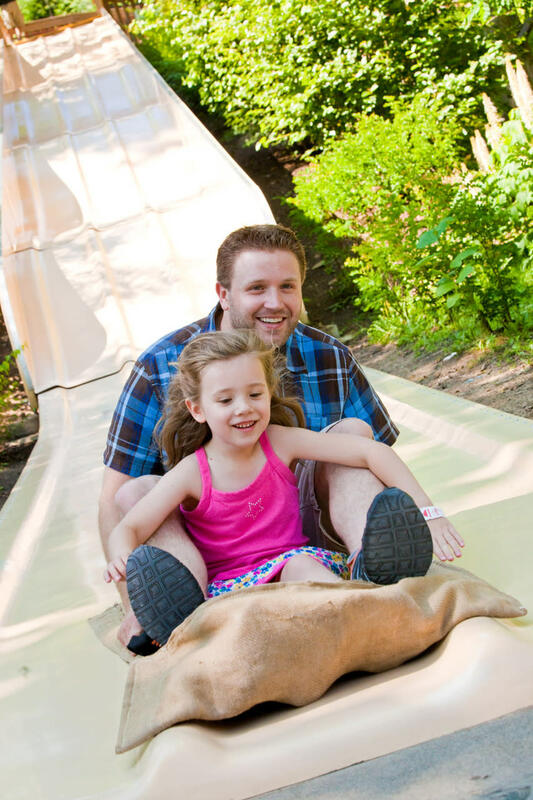 At Idlewild, you won't find mega-thrill rides that lay claim to being the tallest or fastest, but instead simpler fare that the entire family can enjoy together. 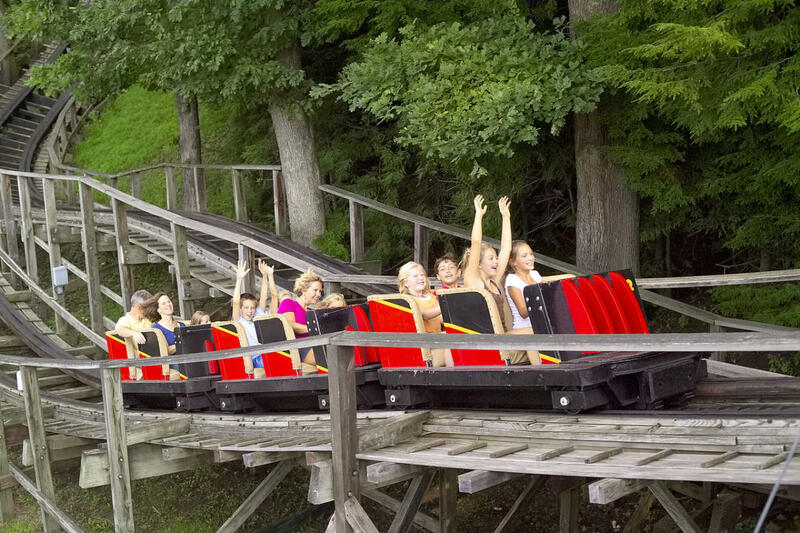 The Rollo Coaster, built in 1938, is a long-time family favorite, with just as many moms, dads, and grandparents in line with kids as there are teenagers. 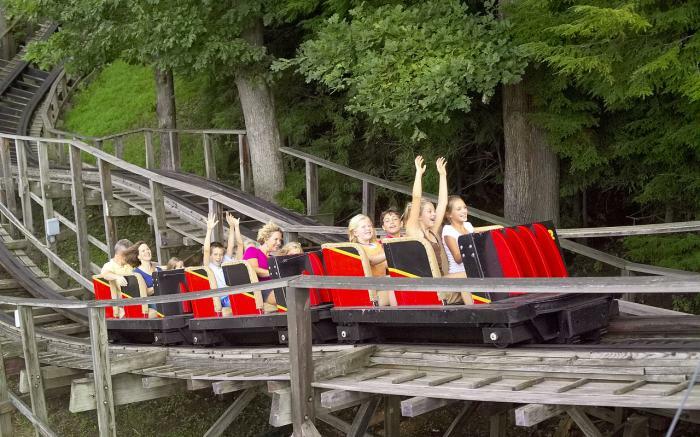 Set along a rolling hillside at a very modest height of 27 feet and length of 900 feet, Rollo Coaster often serves as a child's "first real coaster" and parents want to be along for the ride during such a memorable experience. 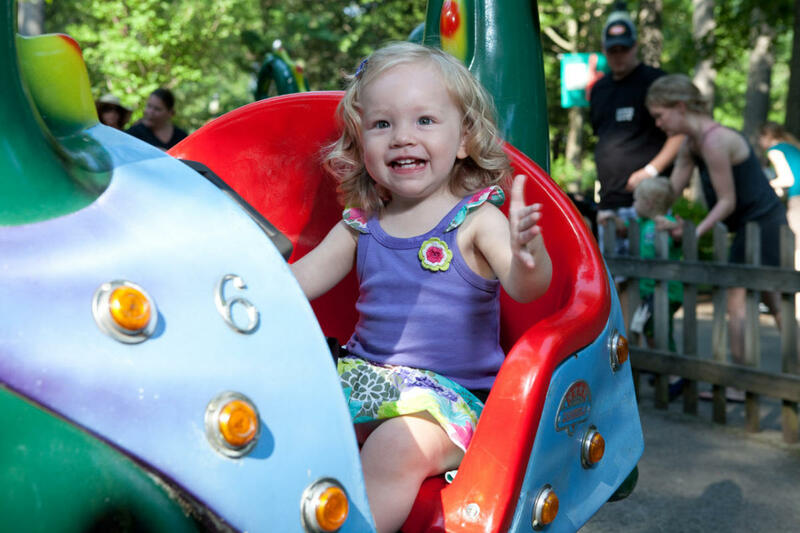 A stroll through Story Book Forest is another beloved experience for families visiting Idlewild. Featuring a winding path through a true woodland, guests visit cottages and other character scenes from fairy tales and nursery rhymes - providing a great chance for parents and grandparents to revisit their youth as they introduce their own little ones to Mother Goose, Goldilocks and much more. 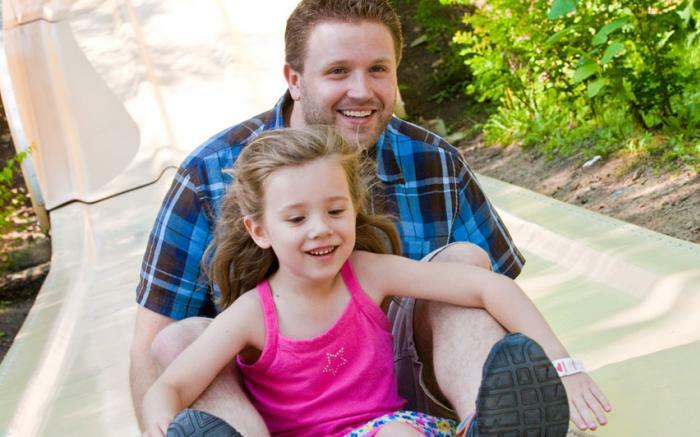 Story Book Forest celebrates its 60th anniversary in 2016! The park's kiddie land, Raccoon Lagoon, is one of the largest and most scenic children's areas in the country featuring 14 rides specially-designed for small tykes. And make sure you take the trolley ride through Daniel Tiger's Neighborhood, the land of make-believe made famous on the popular children's television show.. Although there is a strong focus on entertaining the younger crowd, teens and adults will never feel left out. 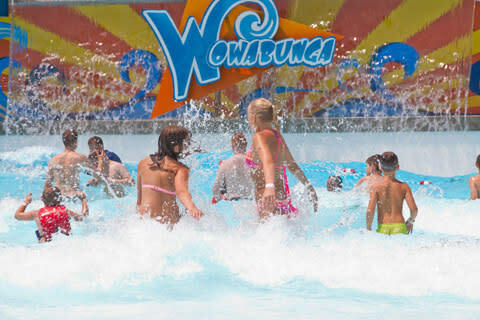 The park bolsters a roster of 17 major rides/attractions - that pack thrills yet remain tame enough for most children, in addition to a wide array of family entertainment, and plenty of splashing fun at the SoakZone waterpark, featuring over a dozen waterslides, the Wowabunga Family Wave Pool, Lazy River, and much more. There's a unique charm to Idlewild & SoakZone. It has a laid-back atmosphere that invites you to relax. Shady trees, lakes, and the Loyalhanna Creek passing through its center make it compare more to a state park than any other amusement park you've ever seen. The center midways are lined with benches and there are plenty of picnic groves where families can enjoy a picnic lunch together as they take a break during their fun-filled day. Quite simply, Idlewild is a place where you can bring your kids and do something FUN and memorable with them, where the lines aren't long and you don't have to spend a fortune. With one visit, your family will fall in love. 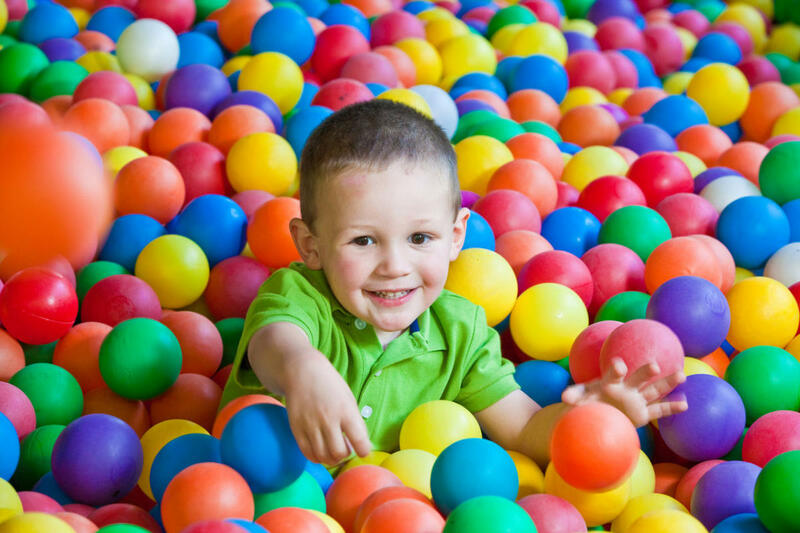 Adult Admission: $42.99 (Age 3 - 59), $33.99 (Adults 60+), Children 2 and under - FREE!